If you’re tired of the same old gym routine, it may be time to try something different. You can often avoid the dreaded fitness plateau just by introducing a little variety in your routine. What’s more, you may be overlooking one of the best total-body workouts available. 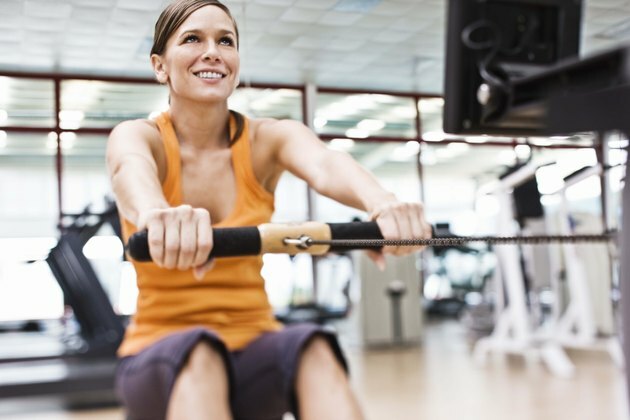 Rowing machines recruit more muscles than most other forms of exercise, providing an intense cardiovascular workout and toning all of the major muscle groups involved. While many forms of exercise are touted as full body because they use more than one muscle group, rowing can legitimately make this claim. Rowing requires significant use of the shoulders, biceps, triceps, chest, back, abdominals, glutes, hamstrings, quads and calves. Contrary to popular belief, rowing is much more than an upper-body workout, with the legs providing the bulk of power for the stroke. In addition to the muscles required during the “drive,” or pulling phase of the stroke, the core, hamstrings and triceps provide much-needed stability at the end of the stroke and during the “recovery,” or resting phase. In terms of calories burned and energy expended, rowing fares better than many other more popular forms of exercise. 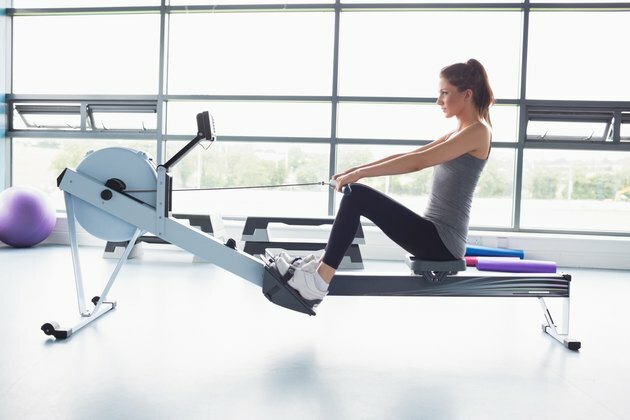 According to the Daily Energy Expenditure calculator on HealthStatus.com, a 150-pound individual can burn over 450 calories per hour rowing at a moderate pace and close to 600 calories at a more vigorous pace. 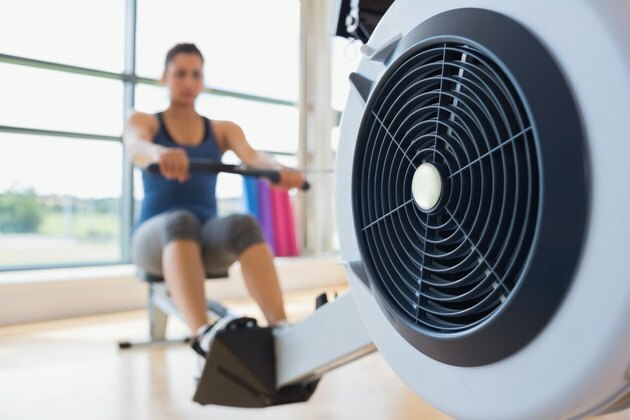 In addition, according to a study published in “Harvard Women’s Health Watch,” rowing at even a very moderate intensity yields a metabolic equivalent (MET) of between 6 and 8, which is comparable to running a 12- or 13-minute mile. The metabolic equivalent measures the amount of energy required to sustain an activity and is an accurate gauge of exercise intensity and the caliber of a workout. Before you can reap the full benefits of a rowing workout, you must learn proper technique. This will ensure maximum results and help prevent injury. As with most forms of exercise, efficiency is a top priority when rowing. The stroke should be long and fluid to help you go the farthest and fastest while expending the least amount of energy. Familiarize yourself with the performance monitor, which measures stroke rate in strokes per minute, time elapsed, distance rowed, calories burned and pace, which is typically measured relative to 500 meters. It may be helpful to consult an online instruction video or enlist the help of an experienced rower to ensure proper form. Once you feel comfortable with the technique of rowing, you can begin to customize your workouts. To start out, set the resistance at 3 or 4 and try rowing non-stop for 20 to 30 minutes, concentrating on good form and keeping a steady pace. 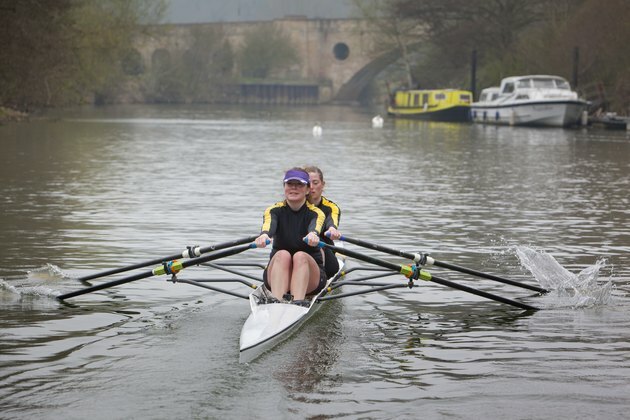 A good stroke rate for steady-state rowing is anywhere between 18 and 24 strokes per minute. 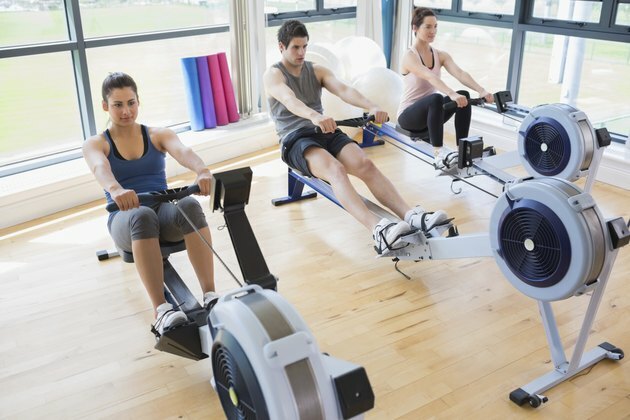 Eventually, you can try workouts where you vary the stroke rate and intensity of your rowing or introduce intervals. For even more variety, test yourself at various distances, such as 500 meters or 1,000 meters, or row for five minutes and go for maximum distance. How Long on the Rowing Machine for Cardio?